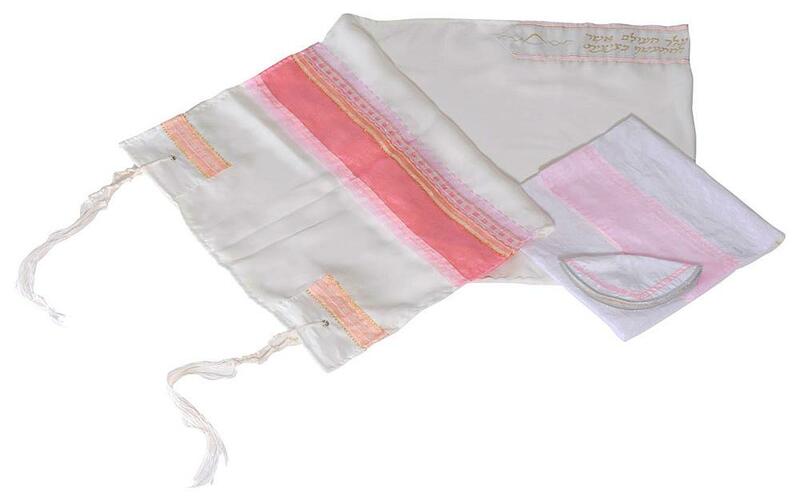 This elegant tallit set is made out of silk with accented pink and gold stripes. 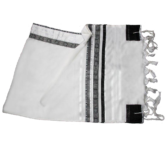 The high quality fabric used by the talented Israeli artists makes this prayer shawl very comfortable. 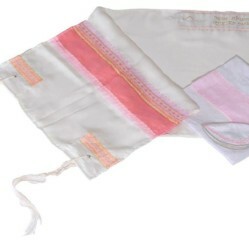 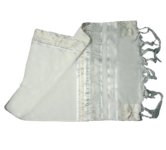 Its classical elegance is provided by the all white background adorned by a solid pink stripe edged by golden laces. 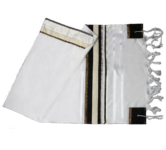 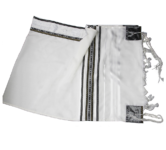 The pattern is repeated on its corner squares, on the white kippa and on the matching bag, while the golden Hebrew letters of the prayer stand out on the white ribbon.